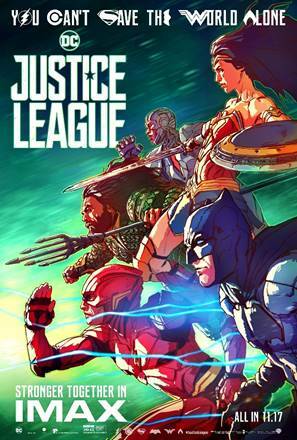 Catch Batman, Wonder Woman, Aquaman, the Flash and Cyborg on the super screen as IMAX delivers a digitally re-mastered 3D feast for the eyes of Justice League fans. Run with the heroes. Come in your alter ego and run as a superhero in the Justice League Run on November 25 at the Mall of Asia and November 19 in SM City Cebu. Size up against your favorite character. Take a selfie with the champion of your choice as the life-size figures of Batman, Wonder Woman, Cyborg, Aquaman, and the Flash tour an SM Mall near you. Talk trivia, meet and greet the Justice League, and win free merchandise when you visit the activity centers of SM City Bicutan on November 22 – 29 and SM City Clark on December 2-10. Make your movie experience a larger –than-life affair and watch DC’s Justice League in IMAX. Catch every detail of Flash’s lightning speed with IMAX’s stunning imagery, hear the rustle of Batman’s cape with the theatre’s crisp sound, and see Wonder Woman face to face through the heightened realism of IMAX 3D.